Savor the chance to experience an unforgettable stay in the middle of the magic! 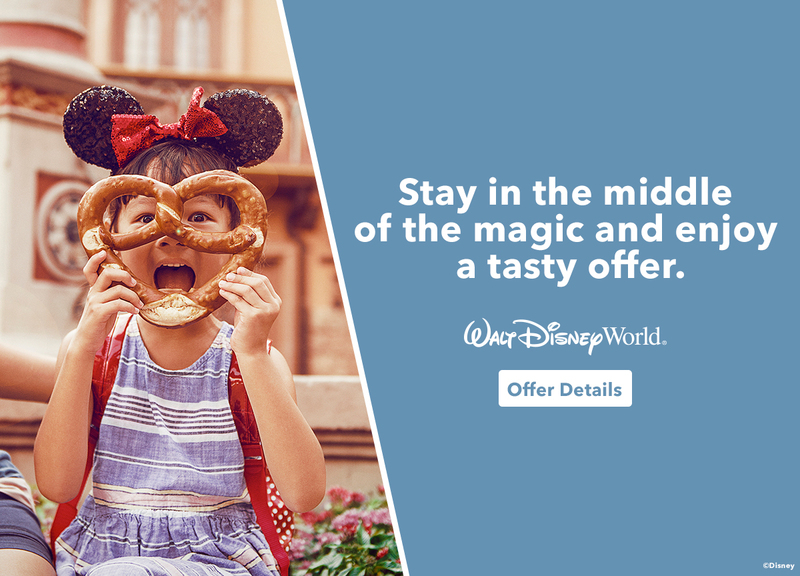 Enjoy a FREE Disney dining plan when you purchase a non-discounted 5-night/6-day Magic Your Way package that includes a room at a select Disney Resort hotel and a ticket with a Park Hopper® Option. Select Disney Deluxe Villa Resort hotels and select Disney Deluxe Resort hotels receive FREE Disney Dining Plan. 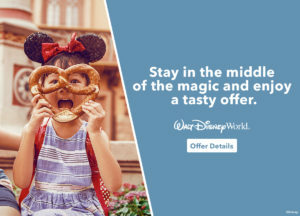 Select Disney Moderate Resort hotels and select Disney Value Resort hotels receive FREE Disney Quick-Service Dining Plan. Find all the offer details here.